Bits and bobs: Rafa Nadal. Bravo!! Rafael Nadal has won his fifth French Open tournament without losing a set and regain the world number one ranking. It's moving the way he sobbed like a baby, crying tears of joy. 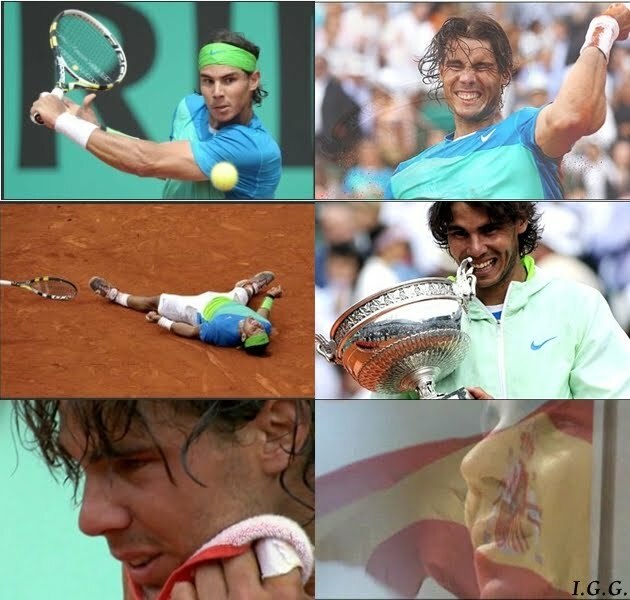 I love this boy, this tennis player, the only sportsman I am really interested in. And now, Go Rafa Go! Regain Wimbledon!